If Nevada mining history is biography, there are few finer examples than the life of Major William Wirt McCoy. A descendant of Scottish immigrants, he was born in 1811 in Boone County, KY. 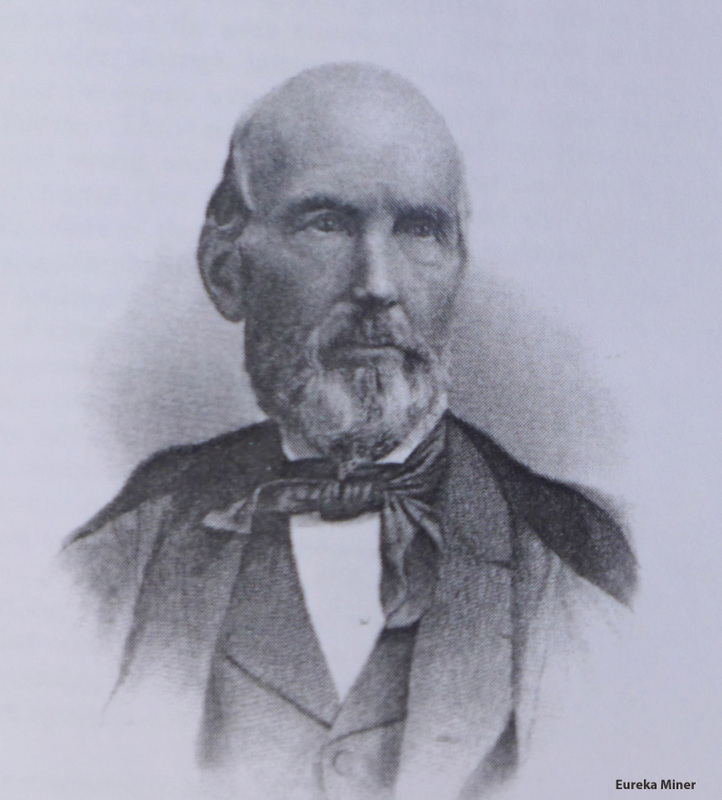 In his 70 years, Major McCoy was a physician, cattleman, statesman and mining entrepreneur. He served with distinction in the Mexican-American War and the legislatures of three states. 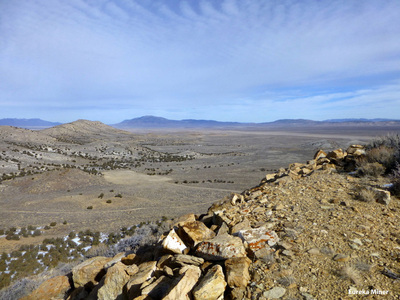 Fortunately for Nevada, the Major applied the same bold leadership in battle to one of Nevada’s most vexing mining problems of the day — an economic way to reduce the stubborn argentiferous lead ores of the Eureka mining district. His solution brought Eureka from a struggling mining camp in 1869 to become Nevada’s second largest city with a population of 10,000 and a world class lead-silver producer by 1878. Before the Major arrived in Eureka, he tallied enough accomplishments to fill several lifetimes. After receiving a degree in medicine, he moved from Kentucky to Shelbyville, Ind., to begin a practice and eventually become a member of the Indiana legislature. 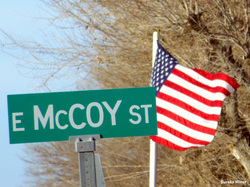 In 1847, Major McCoy assembled volunteers for service in the war with Mexico. He courageously led his regiment as American forces pursued General Santa Anna of Alamo infamy from Vera Cruz to Mexico City. In 1848, the Mexican-American War concluded with the Treaty of Hidalgo and a defeated Mexico ceded a great swath of western territories to the United States. This included California, that became a state in 1850, shortly after the start of the gold rush. Nevada followed achieving statehood in 1864. It wasn’t gold dust fever but the opportunity to become a cattleman that brought the Major to the Golden State in 1852. Major McCoy raised high-bred cattle in San Mateo County and was elected to the California State Legislature in 1858. 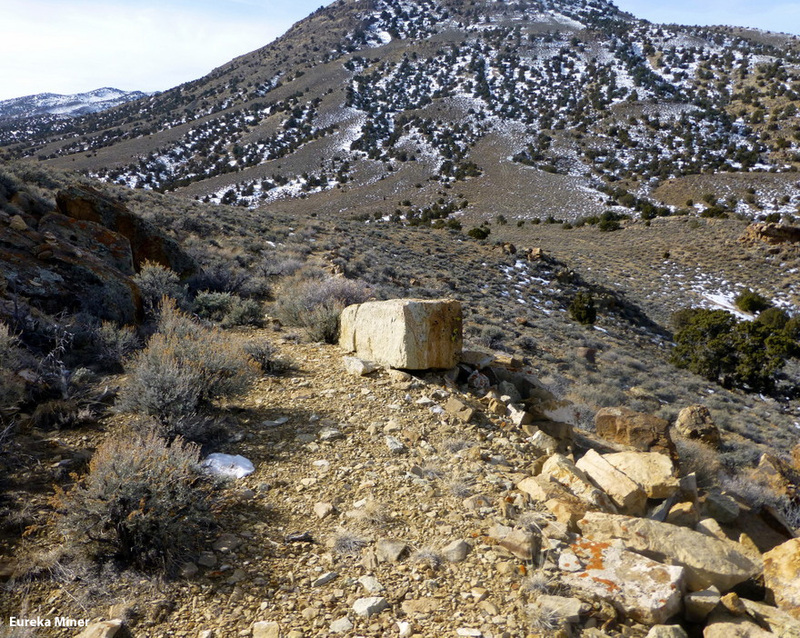 While the Major tended cattle, prospectors slowly moved east from California in search of the next “excitement.” It came with the discovery of the massive Comstock Lode located near Virginia City. This sparked Nevada’s silver rush in 1859. Although the Comstock represented unimagined wealth, Americans were unfamiliar with how to extract silver from the dark clay-bound ore. After much experimentation, the Washoe Process evolved - an industrial-scale improvement of a sixteenth century technique used by the Spaniards in Mexico and Peru. It involved crushing ore then adding water, mercury and other chemicals in large steam-heated iron tanks with mechanical agitators. In a system of strainers and retort sponges, silver was then recovered from the mercury and the latter recycled for future processing. As prospectors moved further east across Nevada, each new discovery required increasingly complex techniques to “win” silver and gold from ores more challenging than the Comstock variety. In 1869, Carl August Stetefeldt adapted the Washoe process to handle the arsenic and antimony sulfides particular to some ores of the Reese River mining district near Austin. He developed a chloridizing roast as a precursor to the original Washoe process. That same year, the expanding silver rush attracted Major McCoy to Nevada. He would join Stetefeldt and other mining enthusiasts in Eureka, the next push east from Austin. Although Austin prospectors had been in the Eureka area since 1864, the abundant lead-silver ores were oxide compounds that resisted previous metallurgic treatments. Smelting was next tried to tame the “rebellious ores.” In the smelting process, crushed ore is melted in a high-temperature blast furnace and the various states of the molten mass are drawn off in layers: speiss (arsenic and antimony compounds), matte (metal sulfides) and slag (silicates) with liquid lead and precious metals settling near the furnace bottom. 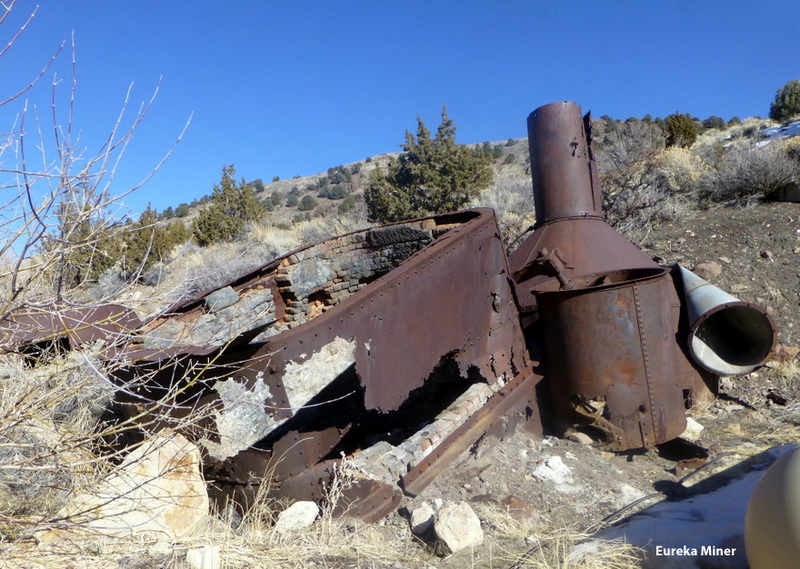 A lead-silver smelter was demonstrated successfully in Oreana, Nevada, but initial attempts failed in Eureka. Morris, Monroe & Co. employed Stetefeldt to construct a furnace on their large mining property. 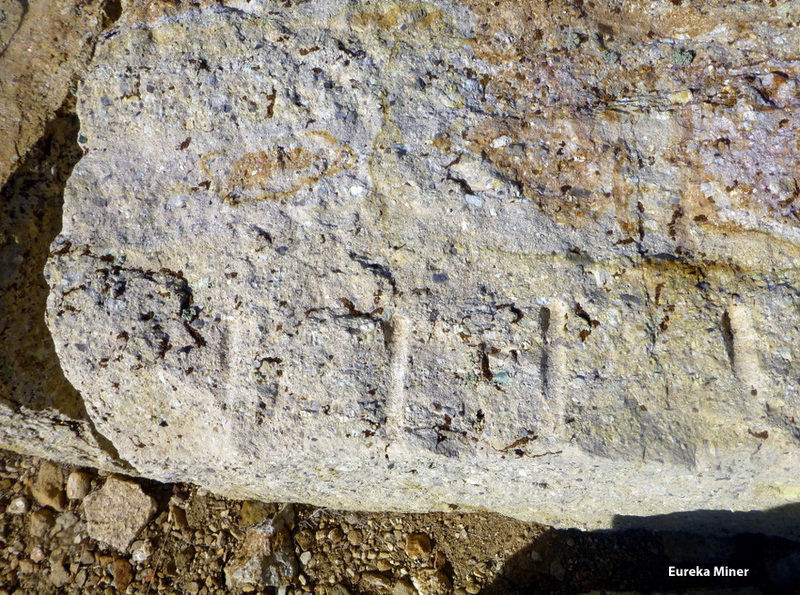 Unfortunately, three attempts by the Austin metallurgic expert also failed. Upon arriving in Eureka, Major McCoy acquired the Morris, Monroe & Co. property and their furnace. The Major determined the Stetefeldt design suffered from an insufficiency of blast, poor quality of lining and technical shortcomings of its operators. He summoned two Welsh smeltermen to Eureka familiar with the latest European technology - Richard P. Jones and John J. Williams, Jr. As they traveled to Eureka from White Pine County, the Welshmen discovered a sandstone in the Pancake Range adequate for a refractory furnace lining. By July, 1869 Jones and Williams lined the Stetefeldt furnace with Pancake sandstone, increased the blast nozzles (called tuyeres) from one to two, and successfully reduced ore from three local mines. This effort demonstrated that Eureka ores were fairly easy to reduce with a proper smelter design. The native ores were self-fluxing as they contained enough silica and carbonate to be processed by themselves. This and an abundant local supply of trees for furnace charcoal ensured the economic viability of the approach. Sandstone quarries near Pancake Summit (shown below) supplied Eureka smelters modeled after the original McCoy furnace. It sold for $20 per ton at the quarry with an additional $12 charge for hauling it 30 miles to Eureka. Smelter lining not in contact with molten material used regular red bricks manufactured locally. One site is seven miles south of Eureka on Highway 50 across from the Schaefer ranch. The McCoy furnace evolved to larger and more efficient models used by the Eureka Consolidated and Richmond smelters. Their prodigious output led to peak lead-silver production in the late-1870s. The newer designs had up to ten tuyeres charged by high-pressure Roots blowers and could process up to 90 tons of ore per day per furnace. The resulting base lead bullion was typically shipped elsewhere for silver and gold recovery although some refinement capability existed at the Richmond facility. Pieces of the Richmond furnaces can be found behind the Eureka County Annex building. With the furnace conundrum solved that summer, Major McCoy and Alonzo Monroe surveyed and platted Eureka in the fall of 1869. 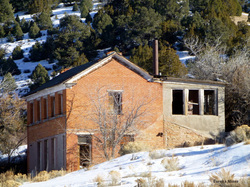 They became the first proprietors of the town to host a mining boom second only to the Comstock Lode. Like a good mining manager, the Major understood that community infrastructure was key to running a successful mining enterprise. He established the Eureka Water Works and constructed a 55,000 gallon water tank sourced by a network of springs near the terminus of New York Canyon and McCoy Ridge on its western flank. 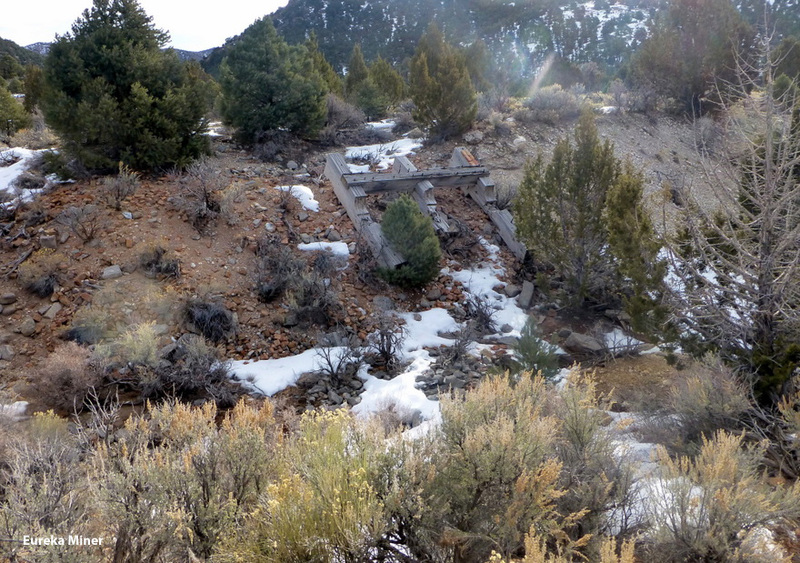 The tank, once located at Eureka’s present lower baseball field, was primarily used as a reserve for fires - an ever-present danger in early mining towns. The office for Major McCoy’s Eureka Smelting Company was located at the site of the County Hospital. It is abandoned now and but still visible from Hwy 50 looking east, one mile south of the Eureka County Courthouse. Elected State Senator of Nevada soon after completing the waterworks, Major McCoy helped to partition off Eureka County from the then larger Lander County. Eureka became the county-seat. With the arrival of Nevada’s sesquicentennial, it is noteworthy that Gov. Bradley appointed Major McCoy United States Centennial Commissioner for Nevada. He was elected to be one of its vice-presidents by that commission and placed at the head of the Committee on Mines and Mining. Before his death in 1881 from a railroad mishap, this remarkable man had contributed to the creation of Nevada through his brave actions in the Mexican-American War, served as a Senator of the “Battle Born State” and helped form Eureka town site and County. Together with his significant contributions to Nevada mining, Major McCoy’s biography is certainly deserving of Churchill’s headline quote. 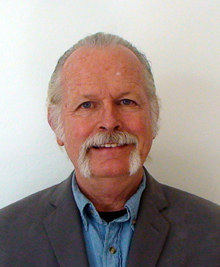 Richard P. Baker is the author and editor of The Eureka Miner’s Market Report at www.eurekaminer.blogspot.com. He owns common shares of mining stocks: General Moly (GMO), Newmont Mining (NEM) and Timberline Resources (TLR). and cautions, "Please do your own research, markets can turn on you faster than a feral cat." 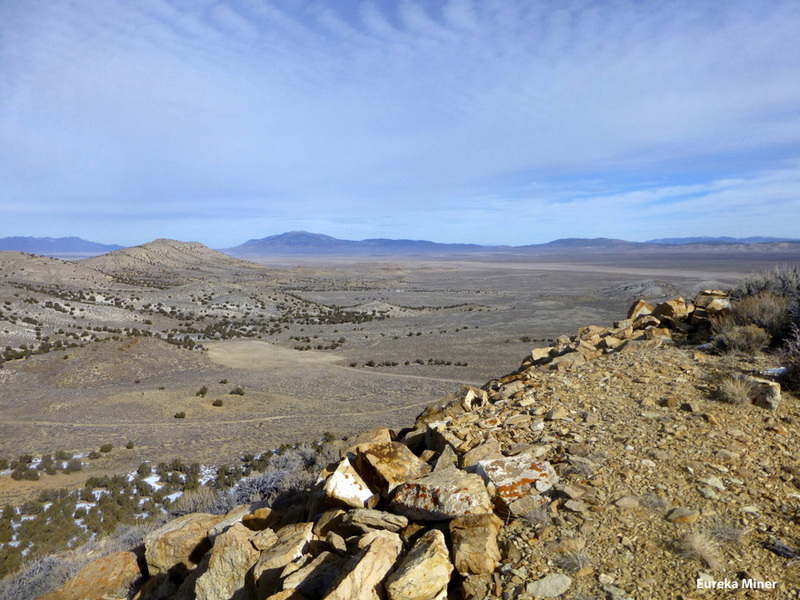 This article first appeared in the Spring 2014 Edition of the Mining Quarterly a publication of the Elko Daily Free Press. Photos courtesy of Richard Baker.